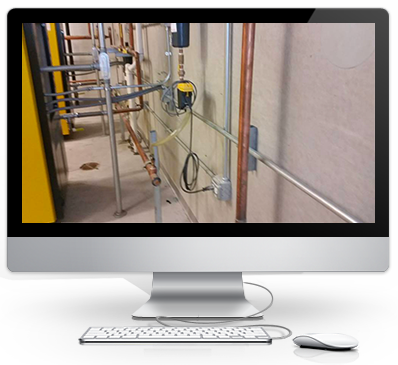 Electrical upgrades are performed in existing industrial buildings or commercial buildings either because the current electrical system is outdated or low quality workmanship. Upgrading the electrical will help your business from unnecessary electrical outages and unwanted issues that can cause downtime, productivity losses and high utility bills. Butterfield Electric has the industry experience performing electrical upgrades in food processing plants, pharmaceutical facilities, large warehouses as well as office complexes, car dealerships and more. Safety: outdated live electrical wires is a hazard to the facility, employees and visitors as well. It can also become dangerous to your computers, servers and phones losing critical data. Electrical efficiency: installing an upgrade can impact the bottom line savings especially in LED lighting and motion sensing lights. Technology: with a significant increase in technology, it requires a lot more electrical energy. Be sure your facility is equipped with GFCI outlets and surge protectors in case of a power overload or electrical outage. Electrical systems in new construction starts with a clean slate. It allows the electrical engineers at Butterfield Electric to construct a design that is energy efficient, maximizes light reflectivity and highly reliable. Create a lighting and controls system that produces the right amount of light and automatically turns it off saving energy and bottom line cost. Develop low voltage systems for key applications in offices as well as automation projects. Construct a control panel and programming for centralized control. Hiring an electrical contractor for your plant or facility relocation project required detail planning, management and sufficient budgeting. Butterfield Electric is a certified electrical contractor with experience moving industrial plants from a large space to a smaller space, business expansion and consolidation. Whether it be a specific product lines, manufacturing systems or an entire plant that needs to be relocated, we can help ensure a smooth transition. When it comes to electrical machine hookup and equipment hookup and installation, Butterfield Electric can handle any type of industrial electrical machinery. Our team of electrical technicians have the experience to install a wide variety of machines and production line equipment regardless of industry. Let us know if you don't see the service you need in our list.